William Woods University is proud to be the newest member of the Show-Me Guard Officer Leadership Development, or Show-Me GOLD, program, which provides students with the professional development necessary to become commissioned officers in the Missouri Army National Guard. The enhanced leadership training students receive in the GOLD program will prove to be beneficial throughout every stage of their lives and is designed to provide a crucial officer pipeline for the Missouri Army National Guard. The GOLD program prepares officer candidates for the Officer Candidate School (OCS). William Woods is the fourth university in the state of Missouri to host the GOLD program and the first private university. It is also the first university to offer the program in the Central region of Missouri, conveniently located near the Jefferson City, Missouri home of the Missouri National Guard headquarters. Students who enroll at William Woods University and in the GOLD program must meet the admission standards of both. In addition to enrolling in regular academic classes, students will also take part in credit-bearing military science courses, leadership laboratories, field training exercises, and physical training. Commissioned officers in all of the National Guard's career fields hold positions of tremendous authority. They are proven leaders who are willing to accept challenges, make important decisions and take on great responsibility. An infantry officer is responsible for leading and controlling the infantry and combined armed forces during land combat. Artillery Air defense artillery officers are experts in air defense tactics, techniques and procedures, and leaders in air defense operations. Aviation officers are expert aviator’s first, overseeing aviation operations from maintenance to control tower operations to domestic and combat missions. Military Police (MP) officers oversee area security, law and order, police intelligence and maneuver support in peacetime and combat, plus internment and resettlement. William Woods University is uniquely situated to deliver the GOLD program to students who wish to become commissioned officers but also desire a more intimate college experience. It is the only university of comparable size in the state, and the only option in the central and northeast regions of Missouri, to offer the GOLD program. At William Woods University, we have always prided ourselves as being a military-friendly institution, due to our affordability, flexibility and meaningful educational opportunities for veterans. Our unique programs such as Management and Leadership and Cybersecurity, as well as our Homeland and Industrial Security emphasis in Criminal Justice, are examples of programs which may be of interest to our GOLD program members. 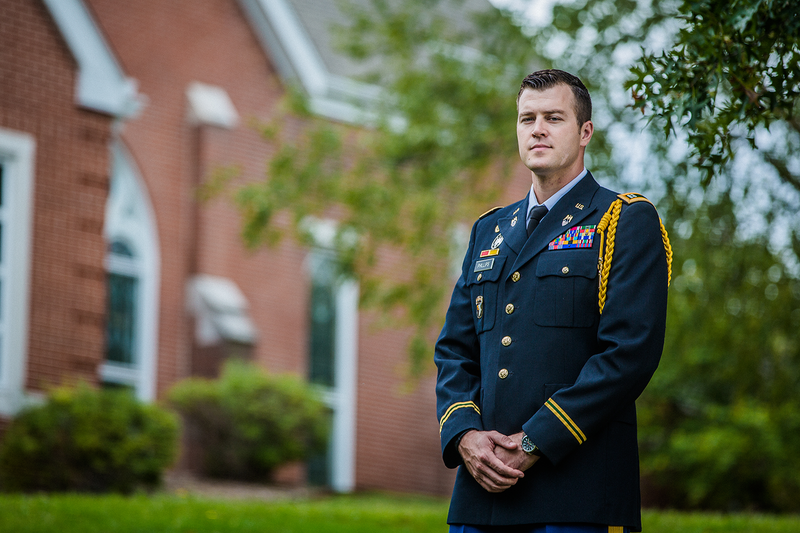 With more than 60 programs to choose from, including the opportunity to complete both your Bachelors and Master of Business Administration in just five years while working toward a rank of Second Lieutenant in the Missouri National Guard, is an outstanding benefit of the WWU Gold program. William Woods University, while a private university, is proud to support our Missouri Army National Guard by honoring the tuition rate offered at the other three public universities who host GOLD programs.